Enteral nutrition (EN) is frequently used in the treatment of anorexia nervosa (AN), and less commonly, bulimia nervosa (BN); yet, no standardized guidelines for treatment exist at this time. 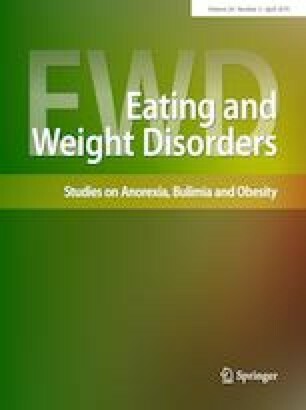 The aim of this review is to investigate the efficacy of EN in the treatment of eating disorders and make recommendations for clinical practice and future research. An exhaustive literature search of 7 databases was completed. The search strategy combined key terms anorexia nervosa, bulimia, and eating disorders with terms associated with EN. There were no restrictions on publication date or language. Studies that assessed the effect of EN on weight restoration, refeeding syndrome, and binge/purge behaviors in the treatment of AN and BN were included. Of 73 full-text articles reviewed, 22 met inclusion criteria. Nineteen studies reported that significant short-term weight gain was achieved when EN was used for refeeding malnourished AN patients; however, results varied for the six studies reporting on long-term weight gain, maintenance, and recovery. In studies with a comparator, no significant differences were found between the EN and oral refeeding cohorts regarding gastrointestinal disturbance, refeeding syndrome, or electrolyte abnormalities. Five studies examined the effect of EN on binge/purge behaviors, suggesting that temporary exclusive EN decreases the frequency and severity of binge/purge episodes. Although EN is an essential life-saving treatment in severe cases of AN, it does not guarantee long-term success or recovery. The results of this systematic review highlight the need for prospective controlled trials with adequate sample sizes to make comparisons between specific feeding methods, formulations, and defined short and long-term outcomes. Evidence-based standards for clinical practice are needed with specific guidelines for best results for AN and BN treatment. This study was not financially supported by any organization or program. MH, with oversight from JL, selected studies, extracted and analyzed the data, and wrote this review. MH and JL revised the manuscript. All authors agree with this version of the article. Informed consent was not obtained as no primary data were collected from participants by the authors.